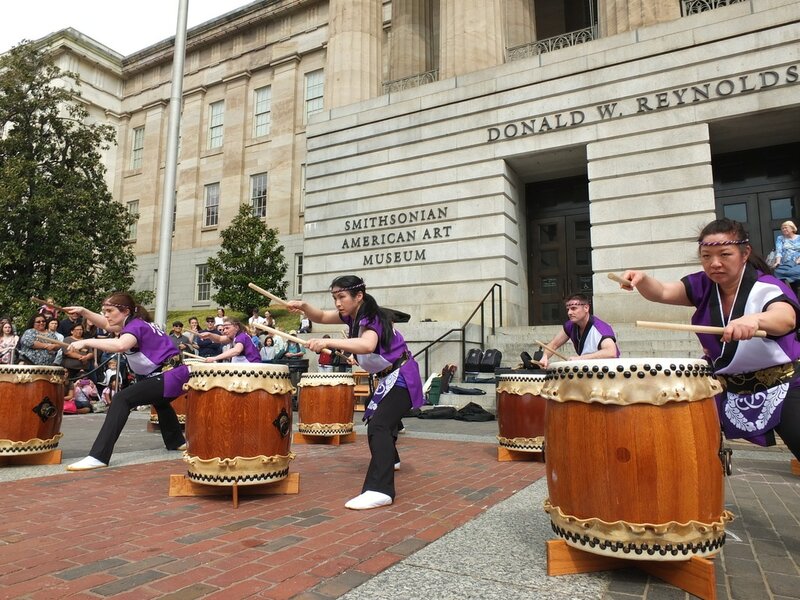 Rouga is an original piece by taiko soloist, teacher, and composer Ryo Shimamoto. The title 狼牙 means “wolf fang” in Japanese. Rouga depicts a pack of hungry wolves chasing prey through the intensity, speed, and directional changes embodied by the performers. The song picks up speed as the hunt goes on, increasing in intensity closer to the kill. 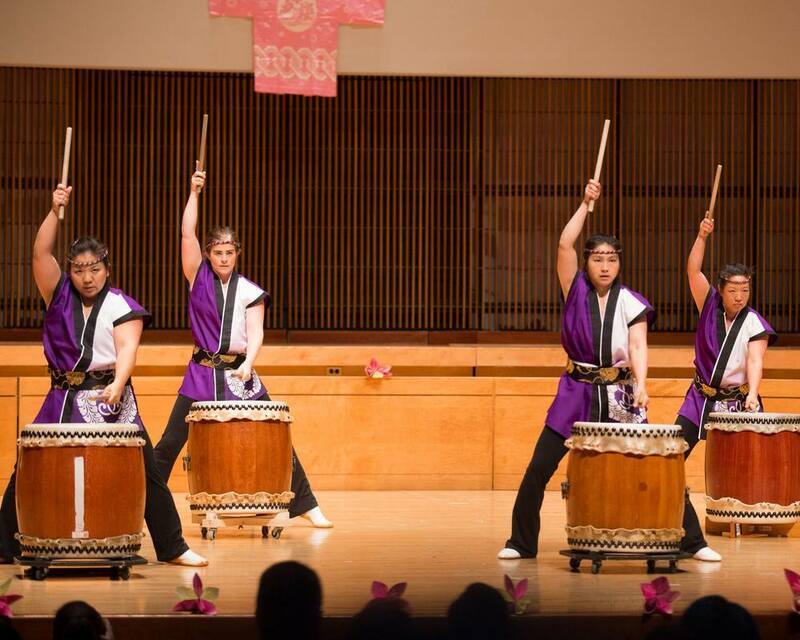 Ryo initially taught the song to Nen Daiko in the fall of 2012. 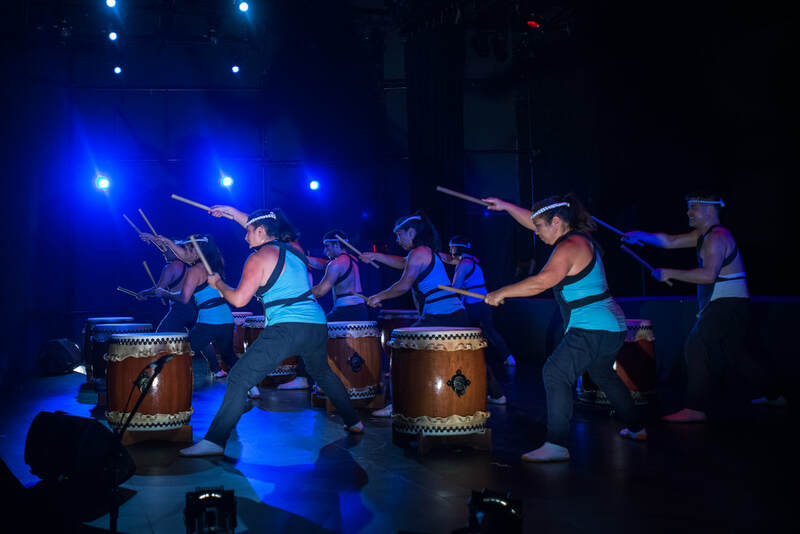 Rouga uses a stance and drum striking technique created specifically for this piece, making it a challenging piece for both veteran and new members. Members focused on absorbing every detail from the unique stance to the gaze of the performers over two workshops in two years. Rouga has been a favorite among members and audiences alike, and Nen Daiko is extremely appreciative of Ryo's generosity. Ryo was born in Yuasa-cho, Wakayama-ken in Japan. 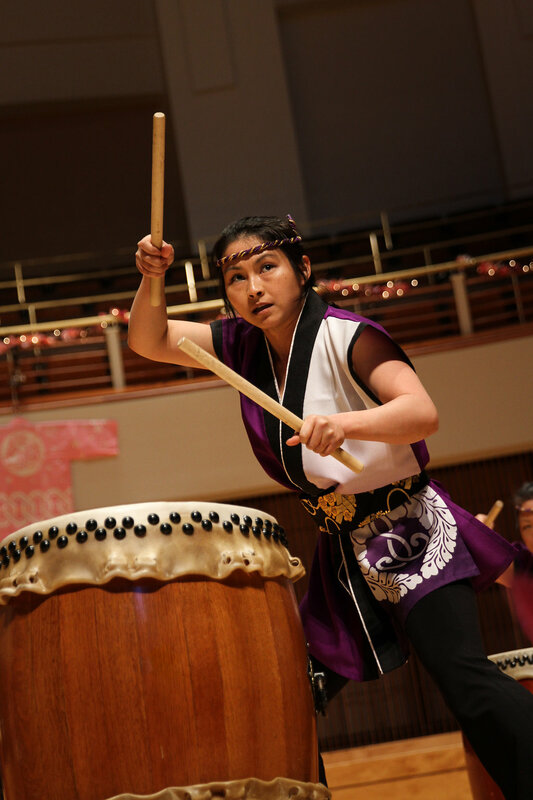 He first started playing taiko at age 11, and joined a taiko group named Shippu Uchi Daiko at age 16. 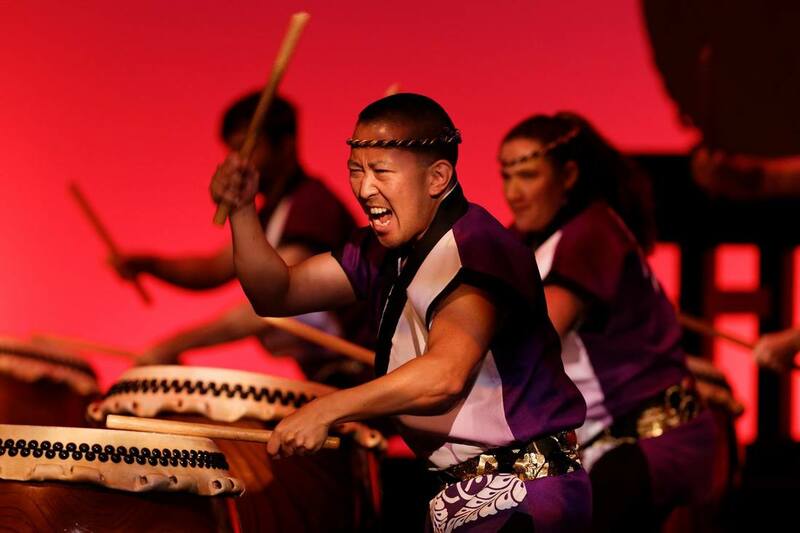 In 2008, he became a professional solo taiko performer and instructor. The fact that he, with a small 11 year old body, could make a drum sound louder than an adult made a big impact. Since then, he has cultivated a delicate but powerful style, and is known for the clear sound he is able to draw out of the taiko. As an instructor, he focuses on body mechanics instead of force, making him a favorite of students of all ages. 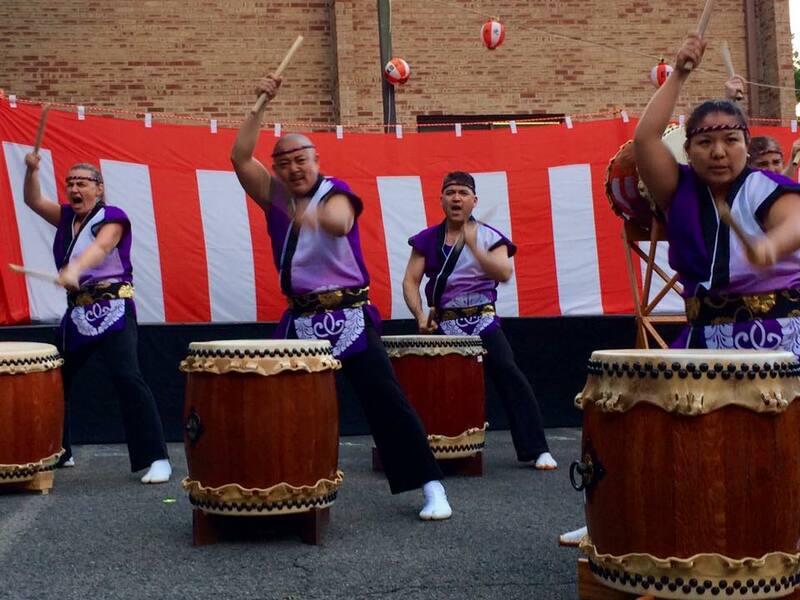 He has trained with Mr. Katsuji Kondo, an original member of Kodo, and has won recognition for playing odaiko. Ryo composed Rouga in 1995. Before Rouga, he had composed many fun and festive songs, but not very many intense, physical songs. This song was a departure for Ryo - a new exploration. He thought why just stop at creating a song with force and impact. Ryo's goal with Rouga was to bring a new kind of energy to the stage. He wanted to compose a song would inspire fear in the audience. How did he come up with the unusual stance? The common forward facing stance was far from the silhouette of the slender beast he wanted to depict. Diagonal and lateral striking forms also did not quite fit the image of the Japanese wolf, so it was necessary to invent a new stance. Creating this new stance took much trial and error, he spent countless hours developing the Rouga stance which approached his image of the Japanese wolf. When you see a performance or watch a video of Rouga, can you pick out the alpha wolf? Can you imagine how the pack moves through different terrain, changes directions as it chases its prey, and charges forward in hunger by the way the drummers move and shift their attention? The slender Japanese wolf was well-known for its disproportionately loud and distinct cries. Their howls were known to shake the sliding, "shoji" doors in homes and strike fear in villagers' hearts. The Japanese wolf had a tendency to observe from behind and follow anyone who wandered into its territory. This gave rise to the wolves seen as protectors of the road. This video shows only a minute of the song Rouga. Come to an in-person performance to see the full song! 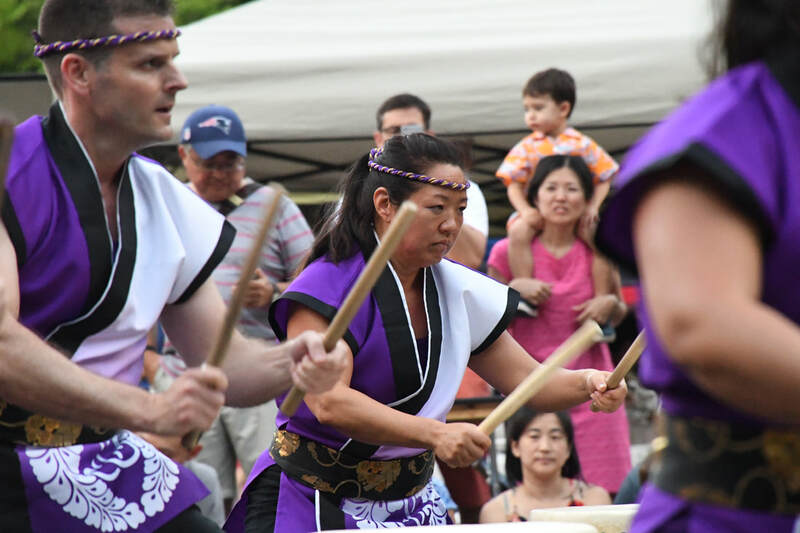 ​At a performance for Ekoji Buddhist Temple's Obon summer festival, the performers' movements were so in sync as a pack, we made the stage sway. For the 20th Anniversary Concert in 2014, we had an amazing lighting designer and a stage manager that knew every detail of the piece. This meant we got to play under blood red lighting and dramatic shadows and light, taking our performance to the next level. Our stage manager, Mark H. Rooney, was the one who brought Ryo to the Washington D.C. metro area and used to perform with Ryo in Japan.